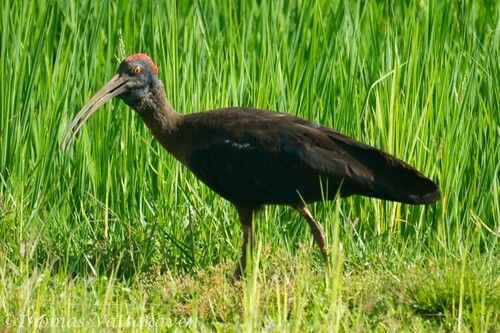 The the Black Ibis is also called as the Red-naped Ibis (Pseudibis papillosa) the Indian Black Ibis. 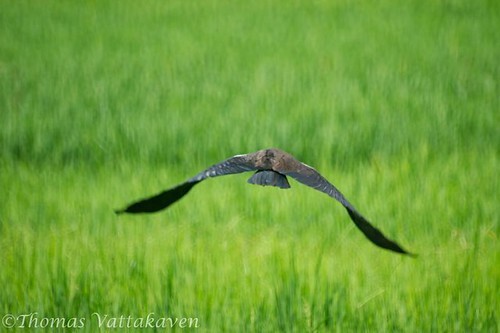 It is a large black bird with distinctive long bill that is curved downwards. 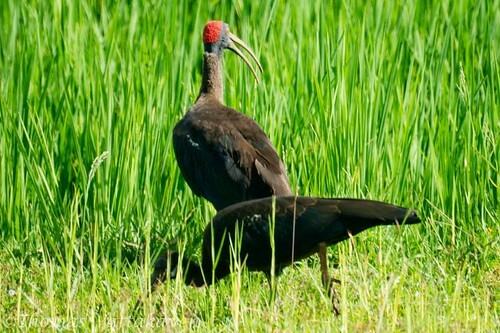 The black colour of its feathers are glossed with blue-green. The sexes are alike but young birds have no papillae. 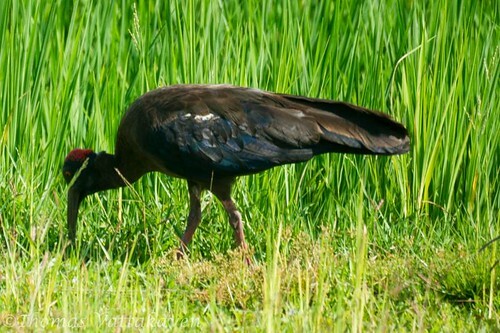 Pictured above is probably, a mother with its young one feeding on a paddy field. marshes to hunts for frogs. It is mostly insectivorous but will feed on ripe grain. It has been known to kill and eat small snakes. 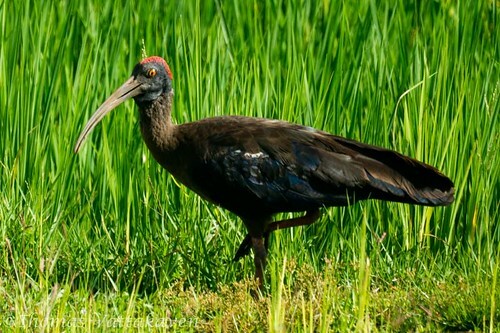 The Black Ibis breeds all over India and at almost all times. 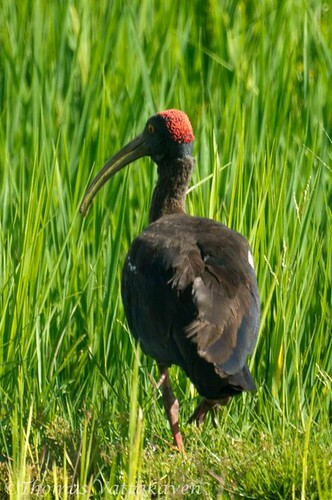 Unlike other Ibises, they do not breed in colonies or with other birds. 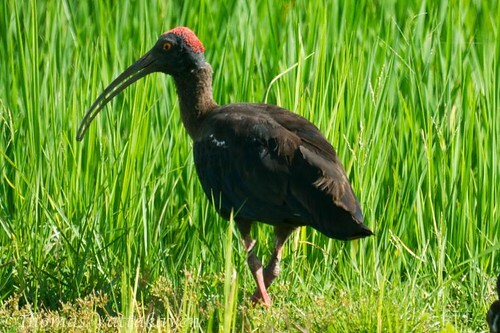 During the breeding season it utters a harsh, loud croak but, like the rest of the family, it is a very silent bird . 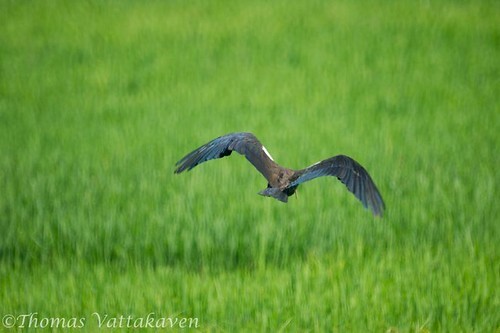 These photographs of the Black Ibis were taken as we spotted the bird in a paddy field, near Srirangapatna, Karnataka.